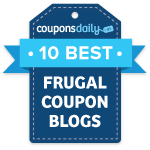 Check out all of these great coupons currently available on Coupons.com! Categories range from grilling to beauty to pet care. SAVE $1.00 on the purchase of any one (1) HORMEL Refrigerated Entree. Any variety. SAVE $1.00 on any TWO (2) bags Milo’s Kitchen brand home-style dog treats.